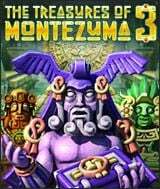 Download The Treasures of Montezuma 3 for free at FreeRide Games! Match tokens to unlock incredible riches in The Treasures of Montezuma 3! The sequel to the two previous classics in this Puzzle/Match 3 favorite features two addictive game modes: Casual and Timed. Casual mode allows you to match tokens at your leisure, while the Timed mode offers an intense, fast-paced match-three challenge. Whichever mode you choose, you'll enjoy spectacular visual effects and explosive audio as you invent unique strategies for upgrading the power-ups and solve dozens of mind-bending mini-puzzles between stages. 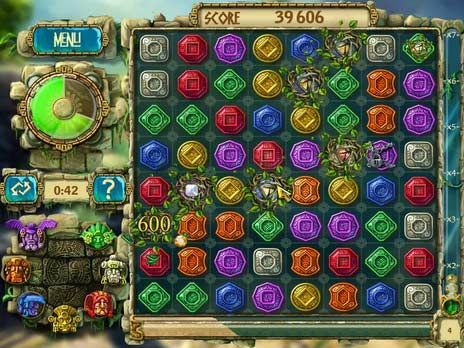 With 160 levels to beat, you could be in the jungle for months.